As the usage of computer and electronic based systems continues to expand, the deployment of Uninterruptible Power Systems (UPS) finds its way into more and more facilities. This trend is unlikely to taper off during the professional career of anybody alive at the present, so I thought it useful to share a well crafted piece that purports to answer the most frequently asked questions about industrial UPS. The piece is produced by ABB - Cyberex, a manufacturer of industrial UPS gear, and it does a superb job of providing concise, understandable explanations of the basic considerations for UPS selection. Take a few minutes and browse the document. There is something new and useful in it for everyone. Share your UPS project plans and challenges with a product application specialist, combining your facility and project knowledge with their product and technology expertise to develop effective solutions. 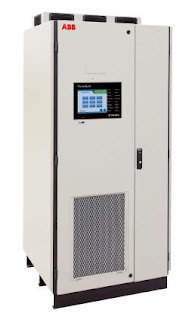 Industrial Uninterruptible Power System FAQs from Hile Controls of Alabama, Inc.